Express your incredible individualism and stand out from the herd with The post ironic, artisanal, organic, entirely independent, re-claimed “I’m not a Hipster” Update. This new content update features all new retro print tees, brutally tight skinny jeans, socially significant hairstyles, ironic, post ironic and non-ironic tattoos and animal masks and much more, as well as additional enhancements to general gameplay to ensure the world is constantly evolving. Choose from seven unique vehicles including classic nostalgia rides like the Glendale, Blade and Rhapsody – affordable cars that seem casual on the surface, but have hidden potential to be unleashed with a few modifications. The environmentally conscious set can check out the Panto microcar, while those looking to roll with their Crew in more ostentatious style can add the massive 3-axel, 6-seater Dubsta to their fleet. Even Ammu-Nation is getting in on the latest non-ironic trends with the Vintage Pistol and Antique Cavalry Dagger now in stock. Make sure to try all these out in the slew of new Jobs, as part of your long arduous journey to become one of Los Santos' effortlessly cool. Update content. The latest title update is required to use this content. 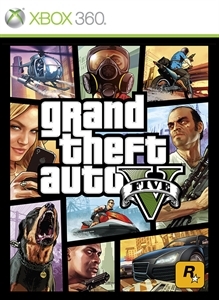 Grand Theft Auto V required to play.